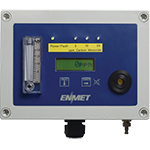 ENMET is an AS9100D-2016 registered company providing Carbon Monoxide Monitoring for a variety of Aerospace applications and Defense programs. Furthermore, products include aircraft qualified jet fuel leak detectors, pilot oxygen air monitors, cabin air quality and compressed breathing air monitors. In Addition, our Jet fuel vapor detectors are qualified for JP-5, JP-8 & Jet A and can be used on manned & unmanned military aircraft. 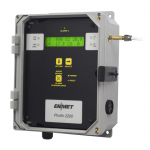 ENMET’s line of Carbon Monoxide Monitors are an excellent solution for meeting OSHA requirements. Also for Grade D breathing air for worker supplied air systems in aircraft manufacturing facilities. 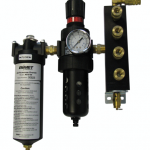 AFS-50 is a compact compressed breathing air filtration system that removes oil, water, solid particles and odors from a compressed air system.